The pharmacy arena provides a vast, alluring and easily manipulated cash source for fraudsters. According to the Centers for Disease Control and Prevention, national expenditures for prescription drugs in 2013 alone were approximately $270 million, 9.3% of the total US health expenditures. Current projections show total healthcare spending will top $3.2 trillion in 2015. From 2015 to 2021, pharmaceutical spending is projected to grow at an average rate of 5-7%. On the front-line in medication distribution, pharmacists, pharmacy owners, technicians, managers, pharmaceutical sales representatives, compliance officers, nurses and physicians are in prime position to detect and uncover fraudulent activities. 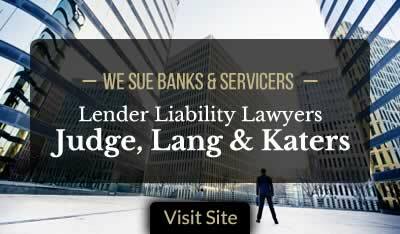 Illegal kickbacks, false billings and off-label marketing arrangements violate Federal and State False Claims Acts, the Anti-Kickback Statute, and other federal and state laws. In turn, the number of pharmacy and health care professionals initiating successful and lucrative whistleblower actions under the False Claims Act continues to climb. The 2014 Fiscal Year Report of the Departments of Health and Human Services and Justice on the Health Care Fraud and Abuse Control Program (HCFAC FY2014) listed eight examples of successful pharmacy fraud cases initiated, prosecuted or settled during fiscal year 2014. Of the eight cases mentioned (only a handful of the total 2014 pharmacy fraud cases), the United States government reclaimed over $157.6 million. The 2013 fiscal year report (HCFAC FY2013) mentioned pharmacy fraud cases with recoveries totaling $86 million. Illegal kickbacks and fraudulent billing are present in the majority of pharmacy fraud cases filed today. Six of the eight cases mentioned in the HCFAC FY2014 report involved illegal kickbacks. Three involved fraudulent billing. Illegal kickbacks also made up the majority of reported pharmacy fraud cases in the 2013 fiscal year HCFAC report. Criminal convictions involving 60 defendants were mentioned in the 2014 HCFAC report, most engaging in elaborate schemes involving kickbacks, drug diversion, money laundering, false billing, fraudulent prescriptions and off-label marketing. Successful False Claims Act whistleblower lawsuits and claims by pharmacy relators (whistleblowers) continue to recover millions in taxpayer dollars. Under the qui tam provisions of the False Claims Act, private citizens can file suit against companies violating the Act on behalf of the U.S. government and share up to 30 percent of any financial recovery. In October 2013, Mark Kirsch, former Kmart pharmacist received a $309,687 whistleblower award and Kmart agreed to pay the US government $2.55 million to settle allegations of false claims when it allegedly dispensed only a portion of prescribed drugs but billed full price to federal health care programs. 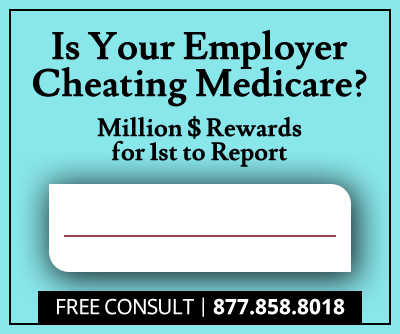 In June 2014, Donald Gale, former Omnicare employee, was awarded $17.24 million for reporting allegations that Omnicare, the nation’s largest nursing home pharmacy company, offered improper financial incentives to skilled nursing facilities in return for continued use of their services. Omnicare agreed to pay the US government $124 million to resolve the allegations. In April 2015, Cassie Bass, a pharmacy technician, and Jack Chin, a pharmacist, collected a $1.3 million whistleblower award for reporting allegations that Walgreens offered illegal inducements to government health care programs’ beneficiaries to transfer prescriptions. Walgreens agreed to pay the US government $7.9 million to resolve the allegations. In May 2015, Jennifer Denk, a pharmacist, collected a $4.3 million whistleblower award for reporting allegations that PharMerica Corporation dispensed schedule II controlled drugs without a valid prescription and submitted false claims for the improperly dispensed drugs. PharMerica agreed to pay the US government $31.5 million to resolve the allegations. Billions in false claims and fraudulent practices by pharmacists and pharmaceutical companies remain undetected. 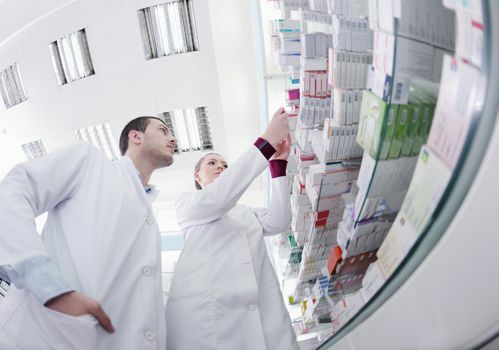 Pharmacists, pharmacy employees and medical providers alike serve as key players in combating the overt fraud, waste and abuse that continues to be a multimillion dollar drain on the US health care system according to the report.